The San Francisco 49ers and the Green Bay Packers will get together on Sunday evening in a battle of the National Football League. Both of these teams are coming off playoff visits a season ago; as the Packers lost in the NFC semi-finals to the New York Giants, while the 49ers were downed by New York in the NFC title game. The 49ers walked away with the NFC West, and once again are the favorites this season. Green Bay, is a season removed from wining the Super Bowl, and have won the NFC North two straight seasons. The 49ers won three out of four in the pre-season, while Green Bay split their four games. You know who is going to win? Ready to bet? Check out this bookmaker and make your bet now! The 49ers are known for their defense. San Francisco was one the best team against the run a season ago, and have all expectations of doing the same thing again in 2012. The unknown with San Francisco is their quarterback Alex Smith. Many have doubts regarding whether Smith can carry the offense to where they need it to be. Frank Gore has more weapons with him offensively this season, such as Mario Manningham, Randy Moss, Brandon Jacobs and Ted Ginn Jr. Vernon Davis led the team in touchdowns a season ago, and has emerged as one of the top tight ends in all of the National Football League. San Francisco plays three of their first four games in the regular season on the road. Following this game, the 49ers will take on the Detroit Lions; before they head out to Minnesota in week 3, and the New York Jets in week 4. 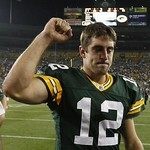 The Green Bay Packers once again have one of the top quarterbacks in all of the National Football League. Aaron Rodgers was among the NFL leaders in passing yards and passing touchdowns a season ago. Rodgers still has several of his top weapons back from a season ago; such as Jordy Nelson and Greg Jennings. The running game from a season ago was relatively weak, and the question mark is whether they have improved during the off-season. The Packers added veteran running back Cedric Benson, and it appears he will get a load of carriers throughout the season. Green Bay should win and cover this game. This sports betting site has great odds and provides a great place to bet on the game. This is a very good season opening game. Both of these teams will want to get off to a great start, and get a leg up for home seed rights out of the NFC. The Packers have the better offense in this game, while San Francisco’s defense is not only better than Green Bay, but possibly the best in the league. Look for this game to be very tight early. In the end, we expect, the home crowd in Green Bay to be a huge factor in this game. In the end, we are betting the Green Bay Packers to beat the San Francisco 49ers by a touchdown. 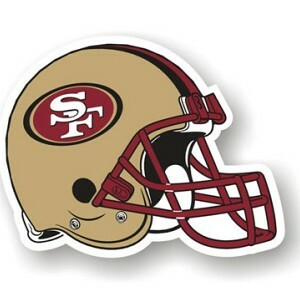 We are going to make our wager of Green Bay Packers -5 over the San Francisco 49ers. Also, we like the under 46.5 total points in this game, as Green Bay wins the game 24-17.